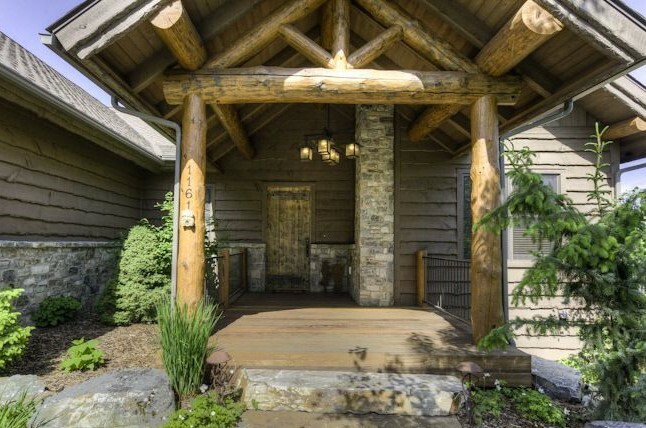 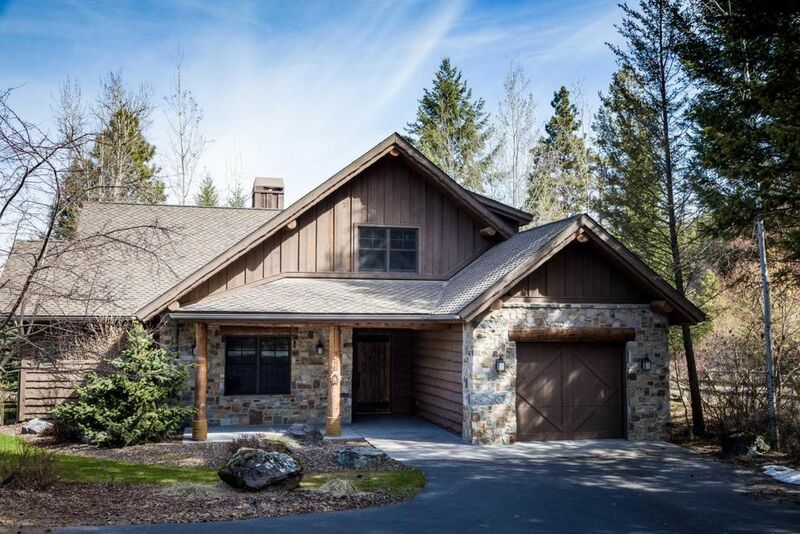 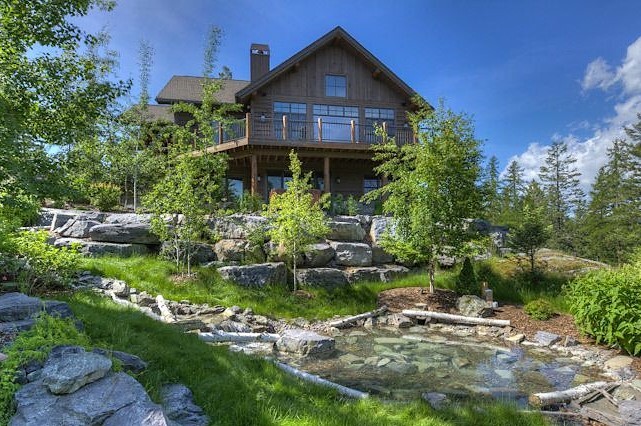 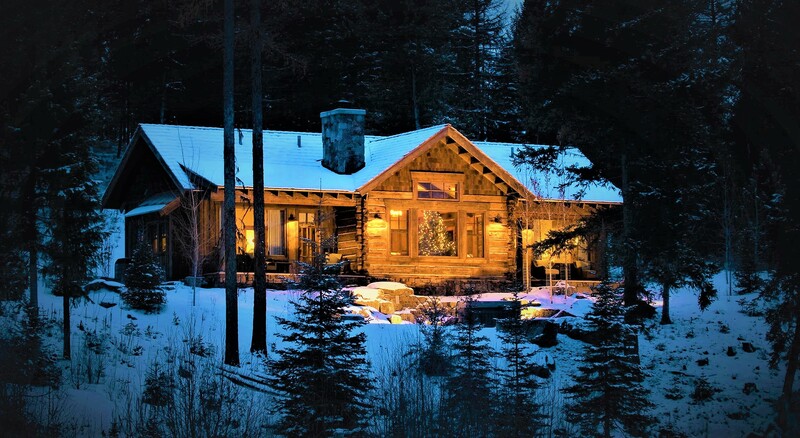 Creating a comfortable Montana feel was paramount when designing these second home cabins on Eagle Bend Golf Course in Bigfork, Montana. 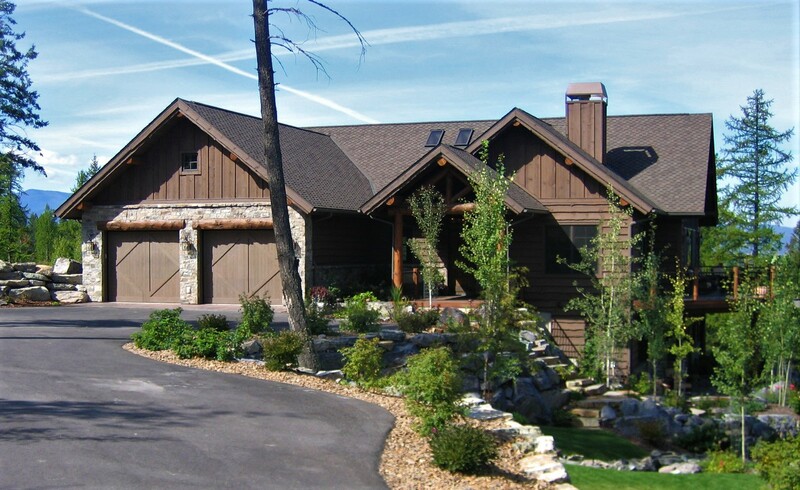 The use of rustic wavy edge wood siding and fascia are combined with traditional board and batt siding. 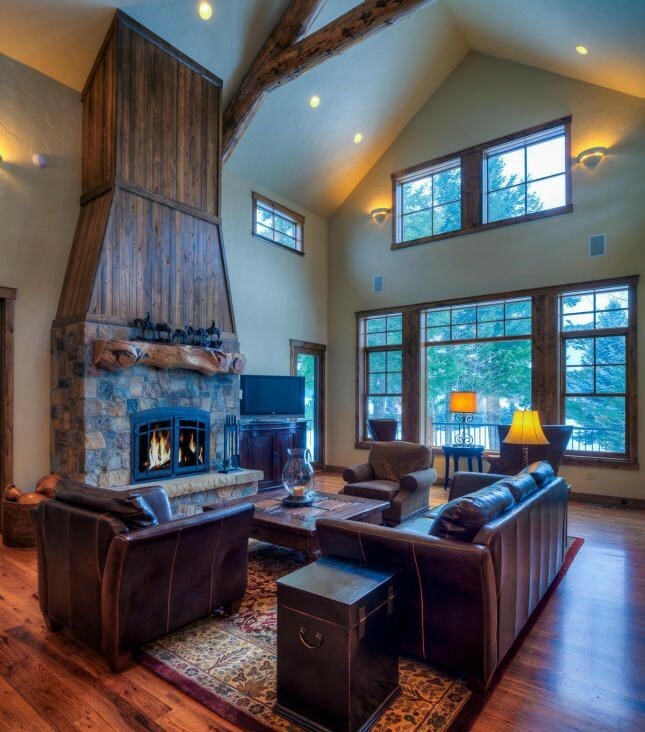 Real ledge stone veneer with rustic flush grout covers the front walls and 2-story interior fireplaces. 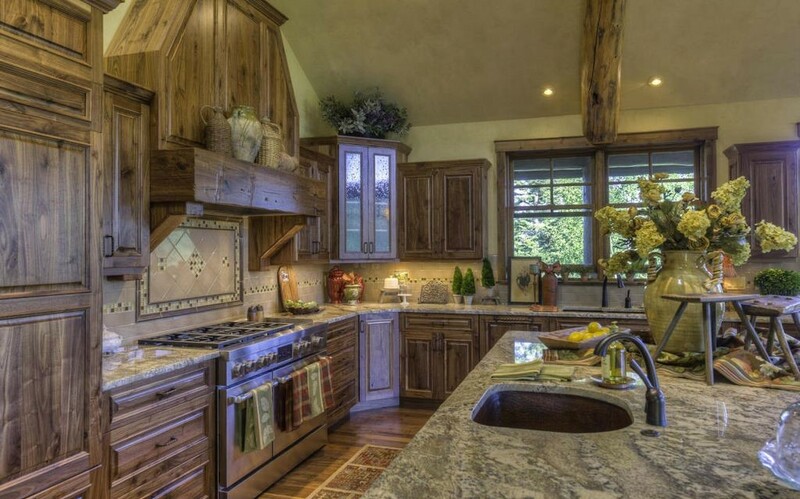 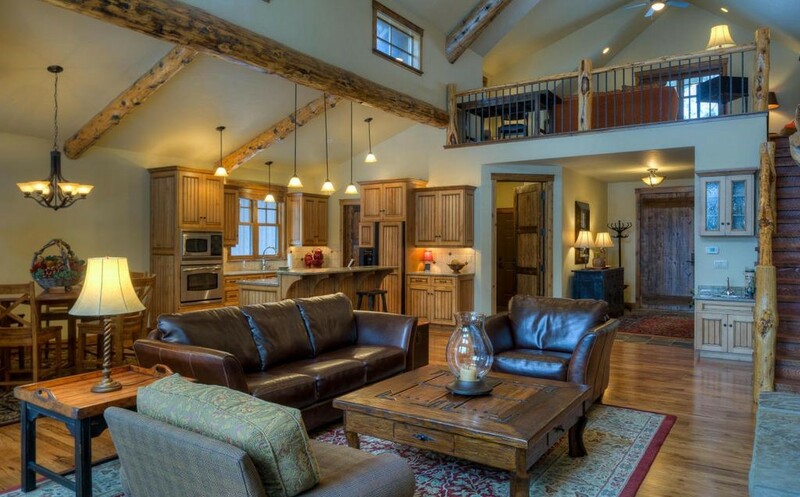 Massive log trusses frame the 2-story Great Room with incredible views of the snow covered peaks of the Swan Range.